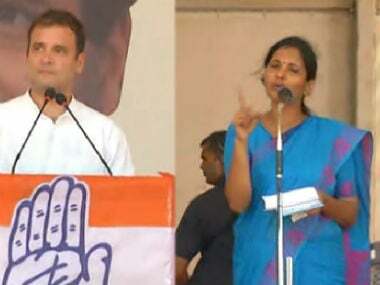 Rahul Gandhi, Congress vice-president told his online supporters that the must refrain from using abusive language "as it is not in line with the Congress' tradition", in a meeting last week, said a report by The Economic Times. A week after a war of words on social media discussing his 'jawanon ki dalali' comment, he met privately with the the party's online activity drivers, heads of every state's social media activities. He is reported as saying that even extreme Right-wingers turn into liberals in the end, quoting LK Advani as an example, and thus the focus of the Congress party should now be to convert online right wingers to moderate thinking by not stooping to their level while responding to them. Allegedly, he was also asked why he was called "Pappu", on social media, to which he said that it happened because of the Bhatta-Parsaul incident, when he challenged corporate big shots. According to The Telegraph, Salman Khurshid advocated engaging in dialogue with trolls in the meeting. P Chidambaram too, re-emphasised the importance of dismissing trolls and went on to speak about internal security. Anand Sharma spoke on the economy. 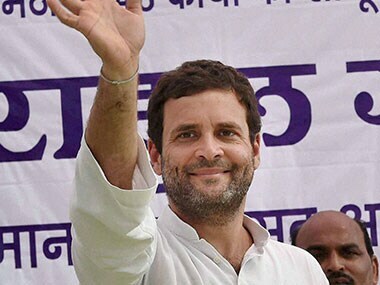 Rahul claimed that Congress had not been ready to counter BJP after the 2014 elections because of elite and status-quo enforcing groups facing loss when the UPA was busy putting in efforts to uplift the lowest level of society, in reference to the food security schemes and the RTI act, conceding that taking on BJP online would be difficult owing to their army of trolls. 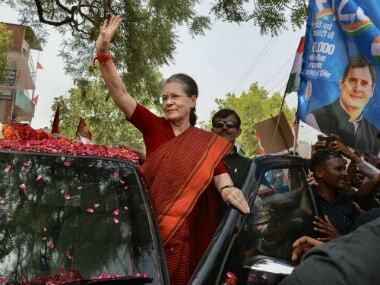 The Congress party is likely to constitute social media teams in every district constituency and Assembly constituency. Rahul had accused Prime Minister Narendra Modi of indulging in political exploitation of the sacrifices of soldiers in remarks after the cross-LoC surgical strikes on terror launch pads in PoK. "Jo hamare jawan hain jinhone apna khoon diya hai, Jammu and Kashmir mein khoon diya hai, jinhone Hindustan ke liye surgical strike kiye hain, unke khoon ke peeche aap chhupe hain. Unki aap dalali kar rahe ho. Yeh bilkul galat hai. 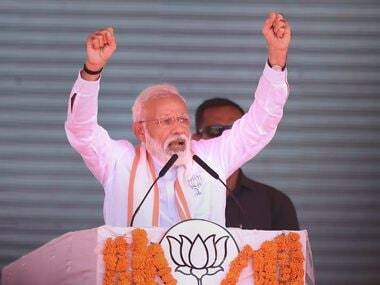 (You — Modi — are hiding behind the blood of soldiers in Jammu and Kashmir and those who carried out the surgical strikes for India. You are exploiting their sacrifices, which is very wrong)," he said in a rally at the end of his 'Deoria to Delhi kisan yatra' in UP. This comes after Sonia Gandhi claimed that Modi was a "maut ka saudagar (trader of death)", according to a Livemint report. 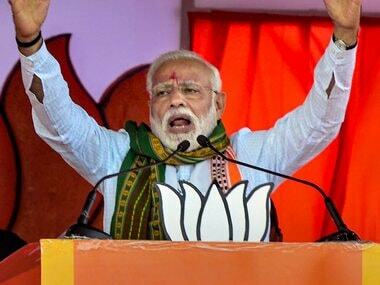 His comments invited strong censure from many on social media along with political parties, causing him to clarify that he supported the surgical strikes but didn't support the use of the Indian Army to further political interests. According to another LiveMint report, similar efforts were made before the 2014 elections, where the need to use social media was recognised. An event held in July 2014 saw the exchanging of communication strategies. Just as the moniker given to Rahul was "Pappu" meaning simpleton, Congress had come up with a nickname for Narendra Modi — "Feku". Bhatta and Parsaul made the headlines when Congress had, much earlier, launched an agitation against the land acquisition ordinance with a meeting of farmers in the villages of Bhatta Parsaul and accused the Narendra Modi government of “snatching away all the rights” given to the people by the erstwhile UPA regime. According to The Hindu, Rahul had started his 'kisan sandesh yatra' from Bhatta and Parsaul villages in 2011, where he launched his protest against land acquisition which, it is said led to the Land Acquisiton, Rehabilitation and Resettlement Act, 2013. An ordinance by the BJP government later gave repealed the measures constituted by the Act, by giving absolute power to the government. Rahul's 26-day Kisan Yatra across poll-bound Uttar Pradesh culminated at Delhi’s Parliament Street on 5 October. A report in Hindustan Times said that it is still rather uncertain if Rahul Gandhi would be able to revive its fortunes in UP and Punjab, ahead of the next elections.